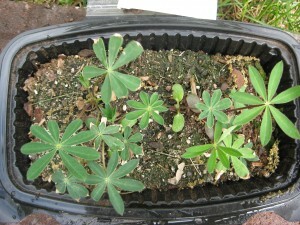 Lupine seeds were sown in January. 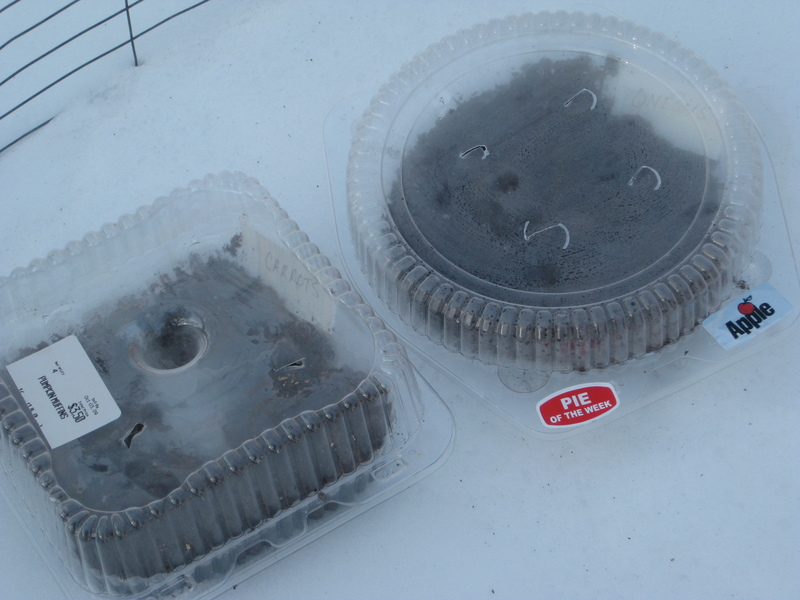 Last January, after watching a Grow With Kare segment on Channel 11 where they were demonstrating a way to start seedlings in the middle of the winter – in a snow bank no less – I decided to try it out. Eleanor (my soon-to-be-mother-in-law) and I planted 2 types of parsley, carrots, Painted Daisy and Lupine in recycled take-out plastic food trays. Winter sowing is an easy way to start seedlings. We had plenty of snow in the months of January and February so they were covered with snow for several months. The month of March was very mild, warm and snow-free. 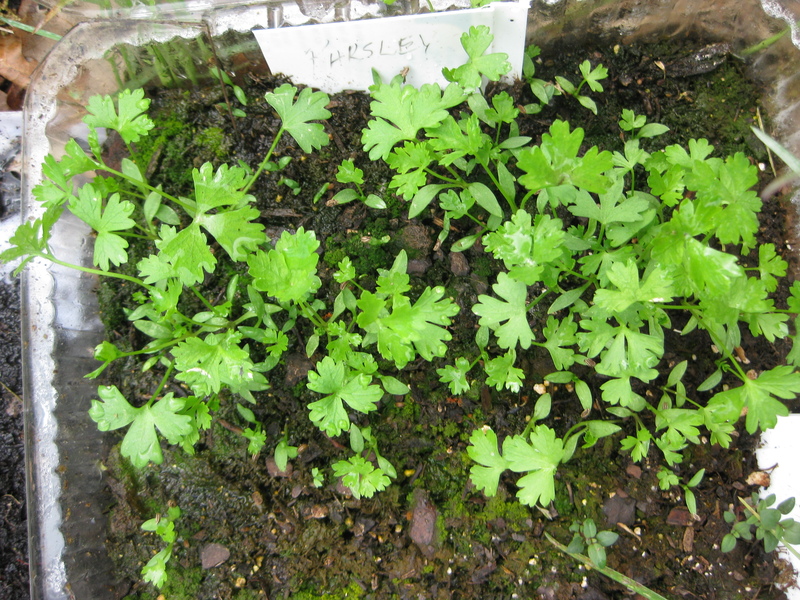 By early April, I could see that most of the seeds had germinated and were doing very well. 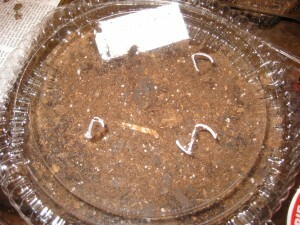 So far, I think winter sowing is a great way to get your seedlings started. 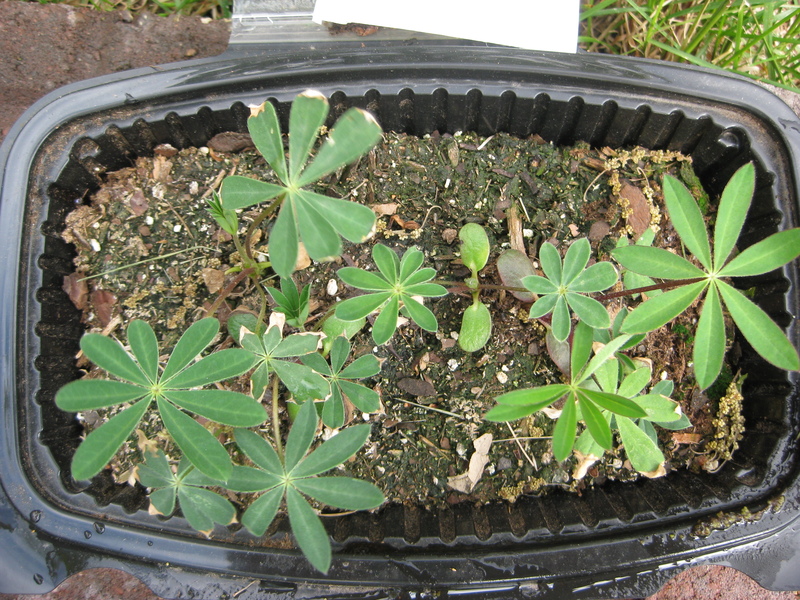 It requires very little effort to maintain once you get them planted. Other years I’ve tried starting seedlings indoors and I’ve had a little success, but winter sowing is definitely easier since you don’t have to water and provide 18 hours of lighting to keep them going. You also don’t have to guess what type of spring weather you’re going to be dealing with – you can let Mother Nature decide when the seeds get started. And because they are outside the entire time, you don’t have to bother with hardening them off before planting them in your garden. Next year, I plan to do both the winter sowing, and spring sowing, which is starting annual seeds outdoors at the end of March (for Zone 4 gardeners). 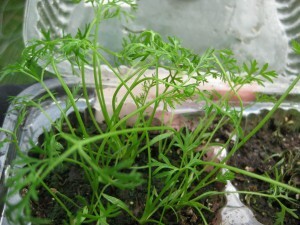 Carrot seeds sown in January are doing really well in May.